How are you doing spiritually? That's not an easy question to consider, but it might be the most important question each of us ought to answer. Spiritual Healthcheck is a help to Christians to evaluate our spiritual health and get a proper reading on the pulse of our spiritual hearts. This book is so helpful that I'm already thinking about ways to get all the members in our church to read it! 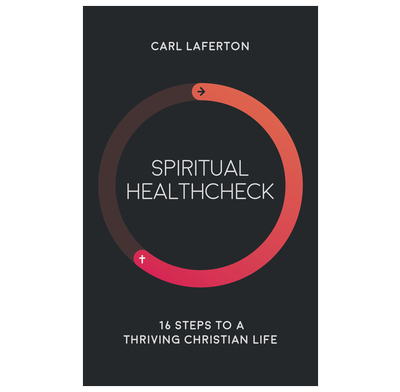 Carl Laferton has provided a way for you to check the health of your soul and see what you need to be spiritually healthy. The strength of the book is the accessible, interactive, concise format. Read it for yourself and give plenty of copies to your friends and family.